In order to be a successful truck leasing and rental company we had to get good at keeping trucks on the road. We’ve learned to fix ’em quickly and fix ’em right. It’s this expertise we look to pass on as well to your trucks. How can BTR make repairs easier for you? ALWAYS Talk to the Boss – At BTR, you can talk to the service manager for EVERY repair you bring in. We don’t push you off to a service writer or some other underling. Our service managers are charged with making you happy. Therefore they take the time to talk to you directly. We keep our shops small enough so that there are never any layers between you and the boss. Lower Hourly Rates – Our hourly rates are considerably lower than a dealer and most independent shops. Discount on Substitute Trucks – If your truck is in for service with us, you receive 25% off the daily rate for a rental truck. Honesty & Trust – It’s amazing that BTR can list this as a differentiator, isn’t it? We don’t make work. We don’t tell you to fix things that are not broken. We don’t pad bills with extra time to match some “book” rate that we should be able to charge. In fact, if our mechanic is unduly slow, you may find that we have adjusted off some time on the bill. If we find an employee who doesn’t follow this golden rule and won’t correct their behavior, they’re history. If you have a problem with the honesty of one of our employees, call the owner or General Manager directly. We take this very seriously. No Fixed Charges/No Minimums – We charge only the time we take to fix your truck, not what some dealer manual says we should charge you. 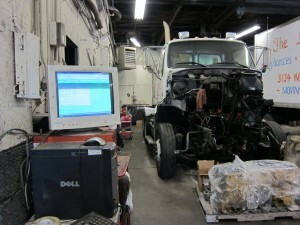 If we can fix your truck in 15 minutes, you get charged for 15 minutes; No more. Quick Turnaround – We know that a truck in the shop hurts your ability to do business. 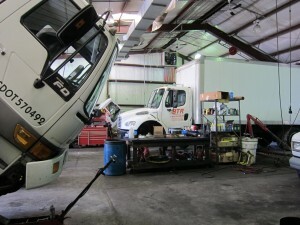 Most repairs and service can be done in a day; many can even be done overnight! Repair History Reviews – We electronically track all the repairs we do for you. So about once a quarter, BTR will call you to get some time to review them. 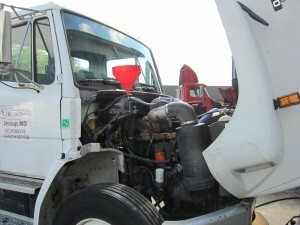 Often we can highlight driver issues or other factors that can lower your repair costs. We’ll even do two reviews; one with the operations staff and one with the senior managers – that way everyone gets the same picture. We want you to save money on repairs because we know it’s the best way to make you a loyal customer.